The Cape Verde Archipelago is composed of ten islands (and thirteen islets), located 750 km off Senegal (west coast of Africa), between 15-17ºN and 22-25ºW. Tourism is the country’s main source of income and of socioeconomic development for several of the islands. Tourism in the Archipelago has a close relationship with marine-related activities, due to the warm weather, sandy beaches, clear water and high diversity of marine species. Cape Verde was visited by 539,621 tourists in 2014 [1 INE, 2015b. Cabo Verde, Anuário Estatístico 2015. Instituto Nacional de Estatística. Praia, Cabo Verde. 227p. Available at http://www.ine.cv/ anuarios/ Anuario_CV _2015.pdf (accessed 28 December 2015). ], with 41.5% visiting Sal Island, the main tourist area, followed by Boavista Island with 32.9% of the total number of visitors to the Archipelago [2 INE, 2015a. Estatísticas do Turismo 2014. Instituto Nacional de Estatística. Praia, Cabo Verde. 61p. Available at http:/ /www.ine.cv/ actualise/ publicacao/ files/ 677458121372015 Estat%C3% ADsticas%20do%20Turismo %20-%202014.pdf (accessed 28 December 2015).]. Diving is one of the fastest growing industries [3Davenport J, Davenport JL. The impact of tourism and personal leisure transport on coastal environments: A review. Estuar Coast Shelf Sci 2006; 67: 280-92. [http://dx.doi.org/10.1016/j.ecss.2005.11.026] ] and, worldwide, there are over 25,000,000 PADI individual divers [4 PADI, 2017. Worldwide corporate statistics 2017. Available at https:// www.padi.com/ sites/ default/ files/ documents/ 2017%20PADI% 20WW% 20Statistics.pdf (accessed 10 November 2018). ], with an increase of 66.1% between 1996 and 2010 [5 PADI, 2011. Worldwide corporate statistics 2010. Available at http:// www.padi.com/ scuba/ uploadedFiles/ 2010% 20WW% 20Statistics.pdf (accessed 23 January 2012).] and the business activity supporting scuba diving tourists has become an important tourism sector stimulating a billion dollar global industry [6Garrod B. Market segments and tourist typologies for diving tourism. In: Garrod B, Gössling S, Eds. New frontiers in marine tourism: Diving experiences, sustainability, management 2008; 31-48. [http://dx.doi.org/10.1016/B978-0-08-045357-6.50005-X] ]. Even though there are no statistical data covering Cape Verde’s diving industry, there are six dive centres currently operating in Santa Maria Bay, Sal Island [7 Dive-Report, 2016. Diving Sal. Available at http:// www.divereport.com/ locations/ africa/ cape-verde/sal (accessed 10 January 2016). ], which constitute an increased human pressure on local reefs - both natural and artificial - further aggravated by the scarce scientific literature on the impact of tourism on marine coastal areas [8Garrod B, Gössling S, Eds. New Frontiers in Marine Tourism 2008.] which, despite being an increasing concern for the scientific community [9Milazzo M, Chemello R, Badalamenti F, Camarda R, Riggio S. The impact of human recreational activities in marine protected areas: What lessons should be learnt in the Mediterranean Sea? Mar Ecol (Berl) 2002; 23: 280-90. [http://dx.doi.org/10.1111/j.1439-0485.2002.tb00026.x] , 10Rouphael AB, Abdulla A, Said Y. A framework for practical and rigorous impact monitoring by field managers of marine protected areas. Environ Monit Assess 2011; 180(1-4): 557-72. [http://dx.doi.org/10.1007/s10661-010-1805-9] [PMID: 21152973] ] remains largely unknown [11Jeffrey A. 2009. 4o relatório sobre o estado da biodiversidade em Cabo Verde. Tech. rep., Direcção-Geral do Ambiente (Cabo Verde). Available at http:// www.portaldoconhecimento. gov.cv/ handle/ 10961/1947 (accessed 28 December 2015)., 12Claudet J, Lenfant P, Schrimm M. Snorkelers impact on fish communities and algae in a temperate marine protected area. Biodivers Conserv 2010; 19: 1649-58. [http://dx.doi.org/10.1007/s10531-010-9794-0] ]. Several studies have reported how diving activity can affect marine biodiversity: damage may come to benthic marine organisms, such as corals – soft and hard –, sponges, ascidians and large bryozoans, through the direct (physical contact) or indirect (raised sediments) action of divers [13Rouphael AB, Inglis GJ. Impacts of recreational scuba diving at sites with different reef topographies. Biol Conserv 1997; 82: 329-36. [http://dx.doi.org/10.1016/S0006-3207(97)00047-5] -16Luna-Pérez B, Valle CV, Sánchez-Lizaso JL. Benthic impacts of recreational divers in a Mediterranean Marine Protected Area. ICES J Mar Sci 2009; 66: 517-23. [http://dx.doi.org/10.1093/icesjms/fsp020] ]. Fish too can be disturbed, and their natural behaviour changed (e.g. during mating) due to selective search by divers (e.g. cryptic species) [17Uyarra MC, Côté IM. The quest for cryptic creatures: Impacts of species-focused recreational diving on corals. Biol Conserv 2007; 136: 77-84. [http://dx.doi.org/10.1016/j.biocon.2006.11.006] , 18Heyman W, Carr L, Lobel P. Diver ecotourism and disturbance to reef fish spawning aggregations: It is better to be disturbed than to be dead. Mar Ecol Prog Ser 2010; 419: 201-10. [http://dx.doi.org/10.3354/meps08831] ]. Scientific information on local fish assemblages, however, is very limited, consisting mostly of inventories of species found in the area [19Lloris D, Rucabado J, Figueroa H. Biogeography of the Macaronesian ichthyofauna. Bol Mus Munic Funchal 1991; 43(Suppl. 234): 191-241.-23Oliveira MT, Santos MN, Coelho R, Monteiro V, Martins A, Lino PG. Weight–length and length–length relationships for reef fish species from the Cape Verde Archipelago (tropical north-eastern Atlantic). J Appl Ichthyology 2015; 31: 236-41. [http://dx.doi.org/10.1111/jai.12497] ]. This is particularly worrisome given the biological richness and singularity of Cape Verde, with almost half of the total cryptobenthic fish species on the archipelago’s waters comprising endemic species [24Freitas R. The coastal ichthyofauna of the Cape Verde Islands: A summary and remarks on endemism. Zoologia Caboverdiana 2014; 5(1): 1-13.] and being listed in the top 10 coral reef biodiversity hotspots in the world, but also in the top eight of threatened centres of endemism [25Roberts CM, McClean CJ, Veron JEN, et al. Marine biodiversity hotspots and conservation priorities for tropical reefs. Science 2002; 295(5558): 1280-4. [http://dx.doi.org/10.1126/science.1067728] [PMID: 11847338] ]. Such a scenario - biological richness and singularity, general unawareness and consequential threats by human activity - led a private diving operator (Manta Diving Centre, Sal Island, Cape Verde) to put forward, with the support of the Ministry of Environment and Marine Resources of Cape Verde, a project to deploy artificial reefs in Cape Verde coastal waters [26Santos M N, Oliveira M T, Cúrdia J. A comparison of the fish assemblages on natural and artificial reefs off Sal Island (Cape Verde). J Mar Biol Assoc U K 93; (Special Issue 02): 2013452] to satisfy the demand for ’non-natural’ habitats [27Ramos J, Oliveira MT, Santos MN. Stakeholder perception of decision making process on marine biodiversity conservation on Sal Island. Braz J Oceanogr 2011; 59: 95-105. [http://dx.doi.org/10.1590/S1679-87592011000500012] ] and promote environmental awareness among divers using “soft” management tools (i.e. education and interpretation) instead of “hard” management tools such as restrictions or visitors’ fees [28Townsend C. Interpretation and environmental education as conservation tools.New Frontiers in Marine Tourism 2008; 189-200. [http://dx.doi.org/10.1016/B978-0-08-045357-6.50013-9] ] (Fig. 1 ). Map of the Baía de Santa Maria, Sal Island, Cabo Verde with diving sites marked. Três Grutas and Tchuklassa represent natural reefs, Sargo and Kwarcit are artificial reefs (deployed vessels). Divers are open minded and eager to learn about the dive sites visited. They tend to look for information and support regarding the dive in general [29Barker N, Roberts CM. Scuba diver behaviour and the management of diving impacts on coral reefs. Biol Conserv 2004; 120: 481-9. [http://dx.doi.org/10.1016/j.biocon.2004.03.021] ] and environmental education must be included in diving activities through “pre-diving environmental briefings” [29Barker N, Roberts CM. Scuba diver behaviour and the management of diving impacts on coral reefs. Biol Conserv 2004; 120: 481-9. [http://dx.doi.org/10.1016/j.biocon.2004.03.021] , 30Barker N, Roberts CM. Attitudes to and preferences of divers toward regulation.New Frontiers in Marine Tourism 2008; 171-88. [http://dx.doi.org/10.1016/B978-0-08-045357-6.50012-7] ]. Education is advocated as an advisable method for reducing environment damage caused by divers [29Barker N, Roberts CM. Scuba diver behaviour and the management of diving impacts on coral reefs. Biol Conserv 2004; 120: 481-9. [http://dx.doi.org/10.1016/j.biocon.2004.03.021] , 31Plathong S, Inglis GJ, Huber ME. 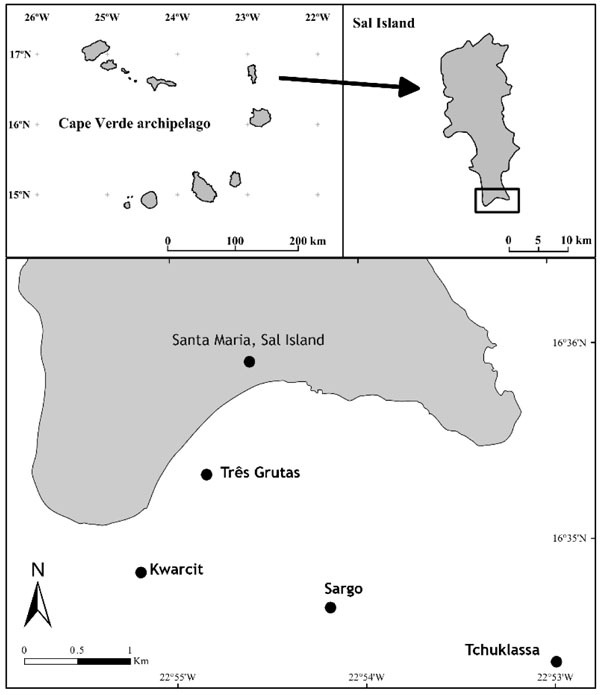 Effects of self-guided snorkeling trails on corals in a tropical marine park. Conserv Biol 2000; 14: 1821-30. [http://dx.doi.org/10.1046/j.1523-1739.2000.99301.x] ], but to be truly effective it should be adapted to each diving site, the socio-demographic characteristics of the divers, their previous knowledge about the environment and their learning capacity [29Barker N, Roberts CM. Scuba diver behaviour and the management of diving impacts on coral reefs. Biol Conserv 2004; 120: 481-9. [http://dx.doi.org/10.1016/j.biocon.2004.03.021] ]. Underwater routes are perceived as an effective way to improve biodiversity awareness among divers’ community [32Rangel MO. 2013. Underwater ecotourism in the Algarve, South of Portugal: Implementation and divers’ perceptions. Thesis for the degree in Doctor of Philosophy in Marine Sciences, speciality in Coastal Management. Faculdade de Ciências e Tecnologia, Universidade do Algarve, Faro. 180p.] and have been used to enhance environmental awareness [33Hannak JS. 2008. A snorkel trail based on reef condition and visitor perception as a management tool for a threatened shallow water reef in Dahab (South Sinai, Egypt). Doctoral thesis, University of Viena. Viena, Austria., 34Harriott VJ. Marine tourism impacts and their management on the Great Barrier Reef. CRC Reef Research Centre Technical Report No 46. Townsville, Australia. CRC Reef Resear Di Franco, A., Marchini, A., Baiata, P., Milazzo, M. and Chemello, R. 2009. Developing a scuba trail vulnerability index (STVI): a case study from a Mediterranean MPA. Biodivers Conserv 2002; 18: 1201-17. [ch Centre.].] and to reduce scuba-diver impacts on the environment [12Claudet J, Lenfant P, Schrimm M. Snorkelers impact on fish communities and algae in a temperate marine protected area. Biodivers Conserv 2010; 19: 1649-58. [http://dx.doi.org/10.1007/s10531-010-9794-0] , 31Plathong S, Inglis GJ, Huber ME. Effects of self-guided snorkeling trails on corals in a tropical marine park. Conserv Biol 2000; 14: 1821-30. [http://dx.doi.org/10.1046/j.1523-1739.2000.99301.x] , 35Di Franco A, Marchini A, Baiata P, Milazzo M, Chemello R. Developing a scuba trail vulnerability index (STVI): A case study from a Mediterranean MPA. Biodivers Conserv 2009; 18: 1201-17. 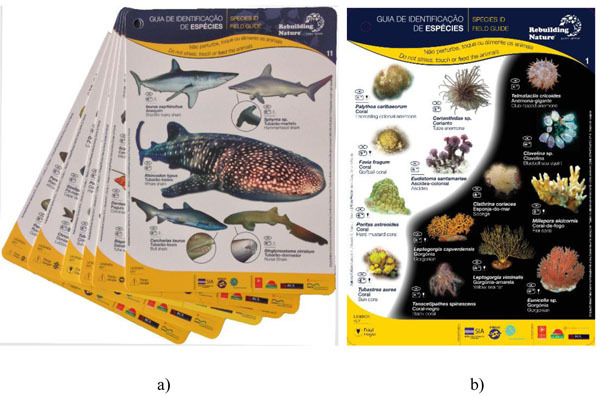 [http://dx.doi.org/10.1007/s10531-008-9461-x] , 36Lloret J, Marín A, Marín-Guirao L, Francisca Carreño M. An alternative approach for managing scuba diving in small marine protected areas. Aquat Conserv 2006; 16: 579-91. [http://dx.doi.org/10.1002/aqc.734] ], by constraining divers to certain areas [37Hawkins JP, Roberts CM. Effects of recreational scuba diving on coral reefs: Trampling on reef-flat communities. J Appl Ecol 1993; 30: 25-30. [http://dx.doi.org/10.2307/2404267] , 38Ríos-Jara E, Galván-Villa CM, Rodríguez-Zaragoza FA, López-Uriarte E, Muñoz-Fernández VT. The tourism carrying capacity of underwater trails in Isabel Island National Park, Mexico. Environ Manage 2013; 52(2): 335-47. [http://dx.doi.org/10.1007/s00267-013-0047-3] [PMID: 23661221] ], as well as to provide information along the path [12Claudet J, Lenfant P, Schrimm M. Snorkelers impact on fish communities and algae in a temperate marine protected area. Biodivers Conserv 2010; 19: 1649-58. [http://dx.doi.org/10.1007/s10531-010-9794-0] ]. 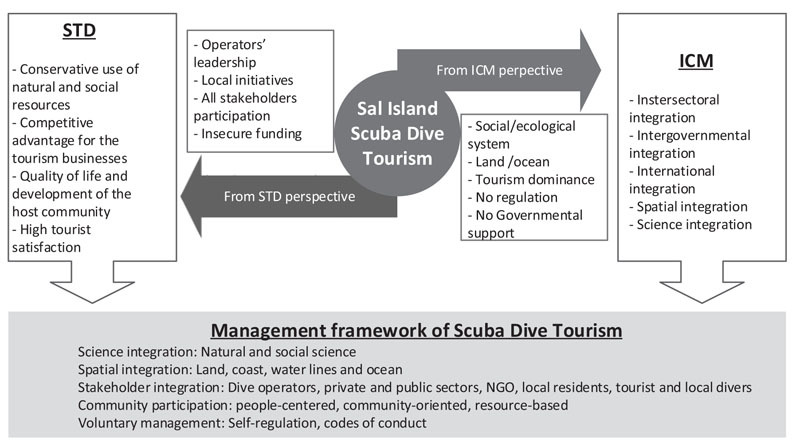 A growing number of publications in recent years have highlighted many issues and concerns relevant to scuba diving tourism but little research has included the scuba diving industry, host communities or efforts towards sustainability [39Dimmock K, Musa G. Scuba Diving Tourism System: A framework for collaborative management and sustainability. Mar Policy 2015; 54: 52-8. [http://dx.doi.org/10.1016/j.marpol.2014.12.008] ]. Scuba diving tourism is an economically important industry as evidenced by the increasing number of other locations promoting their marine resources in efforts to become scuba diving destinations and Cape Verde aspires to follow popular, ‘must dive’ places widely promoted in social and other media such as Koh Tao in Thailand, Layang Layang and Sipadan in Malaysia, and the Great Barrier Reef, Australia and Sharm El Sheikh - Red Sea, Egypt, among others [25Roberts CM, McClean CJ, Veron JEN, et al. Marine biodiversity hotspots and conservation priorities for tropical reefs. Science 2002; 295(5558): 1280-4. [http://dx.doi.org/10.1126/science.1067728] [PMID: 11847338] , 40Dearden P, Bennett M, Rollins R. Perceptions of diving impacts and implications for reef conservation. Coast Manage 2007; 35(2–3): 305-17. [ann]. [http://dx.doi.org/10.1080/08920750601169584] , 41Lew A. A world geography of recreational scuba diving.Scuba diving tourism: contemporary geographies of leisure, tourism and mobility 2013; 29-51.]. In this study, a survey was carried out to provide some preliminary data for Sal Island, Cape Verde, on the socio-economic profile of divers, their perceptions about the environmental awareness of the local area and potential uses of the produced tools for environmental awareness. The conservation of marine biodiversity can only be achieved with engagement of all stakeholders. Following the challenge put forward by a Cape Verde bank to develop a book about the local oceanic waters to serve as a Christmas gift for their clients, Sob os Mares de Cabo Verde - Diving Into Adventure became a reality in 2008 (Fig. 2 ). This work was carried by a large team of people including biologists, diving operator’s managers, marketers, dive masters and an internationally recognized underwater photographer. 3500 units were produced of this book, which covered the following aspects: Artificial Reefs - History and Applications, Rebuilding Nature Project, Diving into Nature, Fauna and Flora [42Laíns M, Santos MN, Oliveira MT, Silva NM. Sob os Mares de Cabo Verde 1st ed. 1st ed.2008.]. 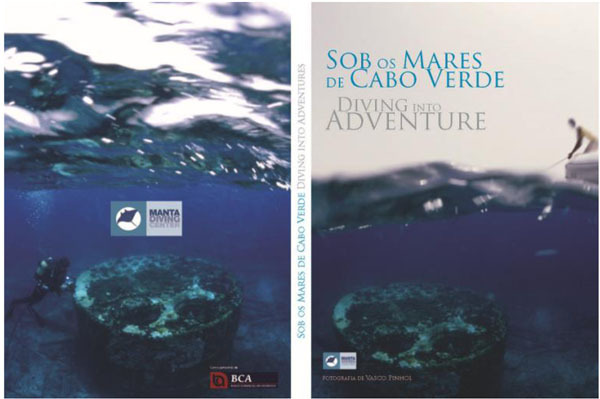 Covers of the book: Sob os Mares de Cabo Verde - Diving Into Adventure´s. The first step to produce the Species Identification Guide was the selection of species. This work was carefully carried out by a team of marine biologists with the collaboration of dive masters from local dive centres in order to select the most interesting species within the area, but also keeping in mind the most relevant to divers. A total of 124 species were selected, photographed underwater and distributed among 12 slates (Fig. 3 and Annex A). The scientific and common names (Portuguese and English) of each species were given. Through a set of produced pictograms, several aspects that are important to divers were included (e.g. Danger, Fragile, Cryptic, Pelagic and Schooling) as well as the warning “do not stress, touch or feed the animals” to increase the diver’s responsible behaviour following Lindgren et al. [43Lindgren A, Palmlund J, Wate I, Gössling S. Environmental Management and Education: The Case of PADI.New Frontiers in Marine Tourism 2008; 115-38. [http://dx.doi.org/10.1016/B978-0-08-045357-6.50009-7] ]. This guide was published in 2009 with 1200 units in its 1st edition [44Santos MN, Oliveira MT, Cúrdia J, Ribeiro I. Guia de identificação subaquática de espécies - Cabo Verde 2009.]. a) Underwater Species Identification Guide, 6 slates, 12 pages. b) Underwater Species Identification Guide, page 1. Two Artificial Reefs (Kwarcit and Sargo) and two Natural Reefs (Tchuklassa and Três Grutas) diving sites, among the 25 available diving sites in Sal Island, were selected [45Oliveira MT, Oliveira GM, Silva NM, Santos MN. 2013a. Kwarcit, underwater route. Santa Maria, Sal.-48Oliveira MT, Oliveira GM, Silva NM, Santos MN. 2013d. Três Grutas, underwater route. Santa Maria, Sal.]. This selection was based on site popularity and pre-established features such as high biodiversity, charismatic fauna and flora species and geological features. 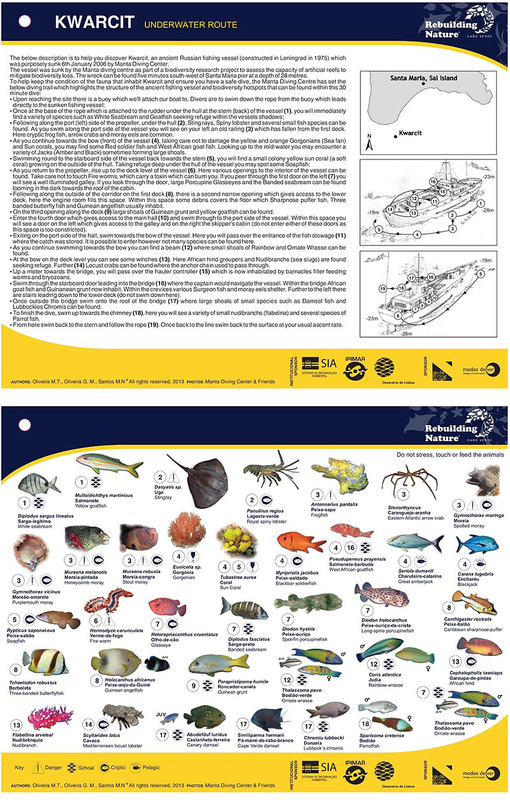 Pictograms (Danger, Fragile, Cryptic, Pelagic and Schooling) and “do not stress, touch or feed the animals” were included as described for the Underwater Species Identification Guide. The selected sites were also used for several studies carried out within the framework of the Rebuilding Nature - Cape Verde Artificial Reef Creation Project. Motivating features for divers visits, such as presence of fish and other aquatic life forms, pristine surroundings [49Ditton RB, Osburn HR, Bake TL, Thailing CE. Demographics, attitudes, and reef management preferences of sport divers in offshore Texas waters. ICES J Mar Sci 2002; 59: 186-91. [http://dx.doi.org/10.1006/jmsc.2002.1188] ] were also considered in order to provide a a better description of the sights for divers (Figs. 4 to 7 ). Underwater route - KWARCIT (Front and back page). 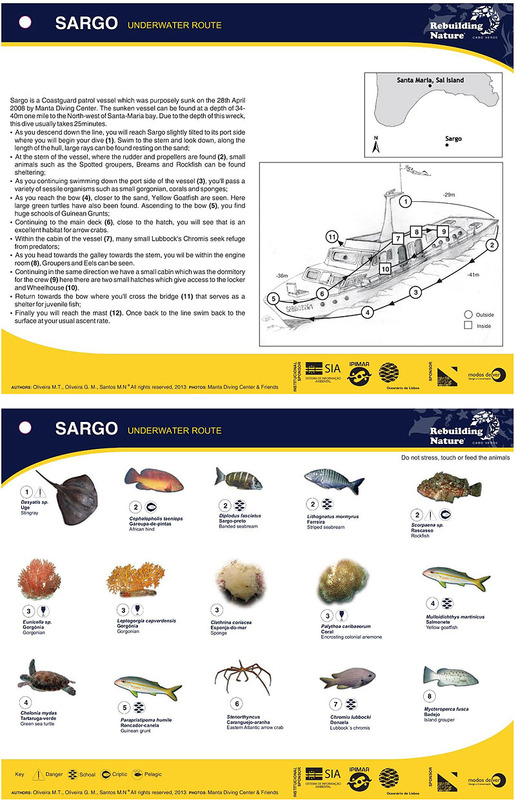 Underwater route - SARGO (Front and back page). (c) Tchuklassa - Located about two miles off the Santa Maria pontoon, this is one of Sal’s natural sanctuaries for underwater fauna. Thanks to its location, extent and morphology, this natural reef offers the possibility of more than one dive. Its rounded wall, covered in yellow polyps, is one of the dive highlights. Standing out from the coast, this reef rises from the depths of the channel separating Boavista and Sal Island and is sometimes bathed by currents that bring nutrients that enhance productivity, making it a place where many species settle and thrive. It is also a waypoint for tuna, jacks, some species of sharks, mantas and other species. The dive is of medium to high difficulty, with depths ranging from 20 to 40 meters. Visibility is between 15 and 40 meters. This site was one of the natural reefs that served as points of comparison in the study which is part of the Cape Verde Artificial Reef Creation Project [26Santos M N, Oliveira M T, Cúrdia J. A comparison of the fish assemblages on natural and artificial reefs off Sal Island (Cape Verde). J Mar Biol Assoc U K 93; (Special Issue 02): 2013452]. 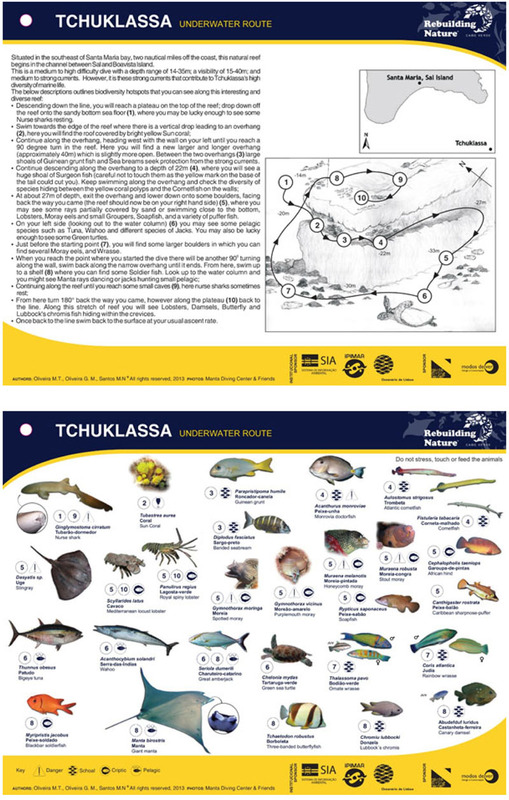 Underwater route - TCHUKLASSA (Front and back page). (d) Três Grutas - This is another natural reef that was studied in the Cape Verde Artificial Reef Creation Project, namely in terms of possible migrations between this natural reef and the artificial reefs created by Manta Diving Center [50Lino PG, Bentes L, Oliveira MT, Erzini K, Santos MN. The African Hind’s (Cephalopholis taeniops, SERRANIDAE) use of artificial reefs off Sal Island (Cape Verde): A preliminary study based on acoustic telemetry. Braz J Oceanogr 2011; 59: 69-76. [http://dx.doi.org/10.1590/S1679-87592011000500009] ]. An 18 meters descent take divers to the bottom of a wall that runs east to west. One of the characteristics of this wall, as in many of other reef walls in Cape Verde, is the existence of a narrow cavity along the base which affords an excellent refuge for a wide variety of species. Those that can be seen here range from rays to lobsters, puffer fish to parrot fish and, less frequently, turtles and sharks. Following this wall to the east we pass by three caves, in descending order of size. These are modestly-sized rather than extensive caverns, but they do allow us to come face to face with the huge quantity and variety of fauna that shelter within. The second cave is actually known as Trumpet Fish Cave. Sharply focused eyes might even catch sight of the virtually undetectable frog fish that sits motionless on top of the coral waiting for a pray. 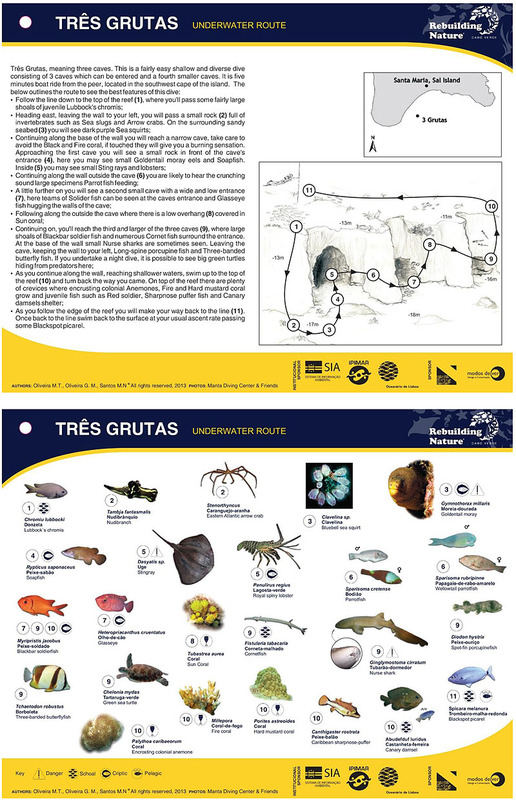 Underwater route - TRÊS GRUTAS (Front and back page). Specific diving environmental briefings where designed, with a scuba diving operator, for each of the four selected diving sites. Dive masters were also trained to provide correct information. The briefing, given by Manta Diving Center dive masters (Fig. 8 ), addressed subjects such as a quick description of the diving site, the underwater route presentation, geographical characteristics of the zone, expected currents, possible dangers and difficulties, expected species and environmental issues considered important and/or interesting for the visitor. Nuno Marques da Silva, Manta Diving Center owner and diving instructor giving an environmental dive briefing (© Manta Diving Center) [51Oliveira MT. 2016. The role of artificial reefs to promote biodiversity and sustainability of the ecotourism in Cape Verde: ecological, biological and management aspects. Faculdade de Ciências e Tecnologia da Universidade do Algarve. Thesis for the degree of Doctor of Philosophy in Marine, Earth and Environmental Sciences, speciality in Marine Biodiversity.]. The survey instrument was pre-tested on a sub-sample of five divers in October 2012. After some adjustments, a questionnaire survey was placed online. The questionnaire survey was designed to maximize responses and avoid response bias [52Garcia C, Jha G, Verma R, Talwar S. 2015. The Ultimate Guide to Effective Data Collection. Socialcops. Available at https:// socialcops.com/ ebooks/ data-collection/ (accessed 10 January 2018).]. Best practices for survey questions were followed such as the use of a brief introduction and a well-structure layout [53Dillman DA. Mail and internet surveys: The tailored design method 2000; 2], limited use of drop-down boxes [54Couper MP, Traugott MW, Lamias MJ. Web survey design and administration. Public Opin Q 2001; 65(2): 230-53. [http://dx.doi.org/10.1086/322199] [PMID: 11420757] ], use of closed-ended or short open-ended questions, graphics and other features that increase page download time were minimize and a progress bar was included [54Couper MP, Traugott MW, Lamias MJ. Web survey design and administration. Public Opin Q 2001; 65(2): 230-53. [http://dx.doi.org/10.1086/322199] [PMID: 11420757] , 55Sue VM, Ritter LA. Conducting online surveys 2012. [http://dx.doi.org/10.4135/9781506335186] ], horizontal scrolling was not required and a fast and accurate reading font was used [55Sue VM, Ritter LA. Conducting online surveys 2012. [http://dx.doi.org/10.4135/9781506335186] ], multiple questions per page were used [53Dillman DA. Mail and internet surveys: The tailored design method 2000; 2-56Groves RM. Nonresponse rates and nonresponse bias in household surveys. Public Opin Q 2006; 70(5): 646-75. [http://dx.doi.org/10.1093/poq/nfl033] ]. According to Phillips et all [57Phillips AW, Reddy S, Durning SJ. Improving response rates and evaluating nonresponse bias in surveys: AMEE Guide No. 102. Med Teach 2016; 38(3): 217-28. [http://dx.doi.org/10.3109/0142159X.2015.1105945] [PMID: 26648511] ] web surveys should be built in mind so as to reach as many respondents as possible. Therefor a full responsive design was used ensuring the questionnaire is clearly visible at any devices’ screen size [53Dillman DA. Mail and internet surveys: The tailored design method 2000; 2-55Sue VM, Ritter LA. Conducting online surveys 2012. [http://dx.doi.org/10.4135/9781506335186] , 58Boudreaux R. 2013. What is the difference between responsive vs. adaptive web design? techrepublic.com. Accessed 4.january.2018, available from http:// www.techrepublic.com/ blog/ web-designer/ what-is-the- difference- between-responsive -vs-adaptive- web-design/, 59Mavletova A. Data quality in PC and mobile web surveys. Soc Sci Comput Rev 2013; 31(6): 725-43. [http://dx.doi.org/10.1177/0894439313485201] ]. A covering letter introducing the purpose of the survey about the value of marine biodiversity conservation off Sal Island and a link to a survey was emailed to 7,434 addresses drawn from a list of divers who had visited Sal Island and went out with a local dive operator. The questionnaire was active between February 18th and March 18th, 2013 and during this period two reminders were send to improve response rates and reduce nonresponse bias [53Dillman DA. Mail and internet surveys: The tailored design method 2000; 2, 60Lynn P, Clarke P, Martin J, Sturgis P. The effects of extended interviewer efforts on nonresponse bias.Survey nonresponse 2002; 135-48.]. Because it was aimed to reach a wide audience, both the cover letter and the questionnaire were presented in English. The expected average time to complete the questionnaire was 15-20 minutes and it consisted of 29 questions. The survey included questions about the geographic origin of respondents and some of their personal characteristics (e.g. age group, gender, marital status, job occupation group), holiday and tourism choices (e.g. season of the year to go on holidays, number of visits to Cape Verde, staying time, accommodation type), diver characteristics (e.g. dive expertise, dive avidity, preferences), and specific questions related to marine biodiversity (perceived status of marine biodiversity, perceived diving impact). This survey was also used to estimate the value of marine biodiversity off Sal Island [61Oliveira MT, Ramos J, Erzini K, Santos MN. Valuing marine biodiversity conservation in Sal Island (Cape Verde) using the contingent valuation method. Int J Curr Res 2015; 7(6): 16674-82.]. Socio-economic profile of the respondents in the case study (n=292). Travel profile of the respondents in the case study (n=292). Travel profile of the respondents in the case study (n=292; *n=225, **n=15). Environmental awareness profile of the respondents in the case study (n=292). Demographic characteristics and their perceptions regarding environmental education. Significant differences were tested with independent samples Chi-square test. Tools for environmental awareness (n=292). In order to ensure the sustainability of scuba diving tourism in the future, it is imperative to consider certain factors: the issues which may improve the dive experience; the industry’s search for commercial profit out of the same experiences; the local community’s needs and priorities; the overall necessity to preserve and protect the marine environments in which such activities take place. The conciliation of all these different, complex and at times contradictory goals presents a challenge to the several stakeholders who utilise, manage and value the marine environments in question [62Plummer R, Fennell D. Managing protected areas for sustainable tourism: Prospects for adaptive eco-management. J Sustain Tour 2009; 17(2): 149-68. [http://dx.doi.org/10.1080/09669580802359301] -64Strickland-Munro JK, Allison HE, Moore SA. Using resilience concepts to investigate the impacts of protected area tourism on communities. Ann Tour Res 2010; 37(2): 499-519. [http://dx.doi.org/10.1016/j.annals.2009.11.001] ]. Preferences for marine biodiversity may vary according to different cultural backgrounds [65Ressurreição A, Gibbons J, Kaiser M, et al. Different cultures, different values: The role of cultural variation in public’s WTP for marine species conservation. Biol Conserv 2012; 145(1): 148-59. [http://dx.doi.org/10.1016/j.biocon.2011.10.026] ]. However, a higher value is attributed to visiting a place where there is a strong conservation culture. The origin of the diving tourists may vary according to the destination, but certain patterns can be found, especially regarding tropical destinations [66Hu W, Wall G. Environmental management, environmental image and the competitive tourist attraction. J Sustain Tour 2005; 13(6): 617-35. [http://dx.doi.org/10.1080/09669580508668584] -68Vianna GMS, Meekan MG, Pannell DJ, Marsh SP, Meeuwig JJ. Socio-economic value and community benefits from shark-diving tourism in Palau: A sustainable use of reef shark populations. Biol Conserv 2012; 145(1): 267-77. [http://dx.doi.org/10.1016/j.biocon.2011.11.022] ], perhaps due to the pristine waters and higher biodiversity of marine species [69Asafu-Adjaye J, Tapsuwan S. A contingent valuation study of scuba diving benefits: Case study in Mu Ko Similan Marine National Park, Thailand. Tour Manage 2008; 29: 1122-30. [http://dx.doi.org/10.1016/j.tourman.2008.02.005] ]. The need for a reinforced ecological management of the coastal areas where diving is practiced [8Garrod B, Gössling S, Eds. New Frontiers in Marine Tourism 2008., 14Tratalos JA, Austinb TJ. Impacts of recreational SCUBA diving on coral communities of the Caribbean island of Grand Cayman. Biol Conserv 2001; 102: 67-75. [http://dx.doi.org/10.1016/S0006-3207(01)00085-4] , 15Zakai D, Chadwick-Furman NE. Impacts of intensive recreational diving on reef corals at Eilat, Northern Red Sea. Biol Conserv 2002; 105: 179-87. [http://dx.doi.org/10.1016/S0006-3207(01)00181-1] , 70Rouphael AB, Inglis GJ. Increased spatial and temporal variability in coral damage caused by recreational scuba diving. Ecol Appl 2002; 12: 427-40. [http://dx.doi.org/10.1890/1051-0761(2002)012[0427:ISATVI]2.0.CO;2] ] should include measures to maintain ecosystem equilibrium and increase visitors’ environmental awareness [71Vanhooren S, Maelfaith H, Belpaeme K. Moving towards an ecological management of beaches. J Coast Conserv 2011; 61: 81-6.]. Several authors highlighted the importance of socio-demographic studies for defining diver motivations and perceptions towards several aspects of the activity and better address environmental awareness and education programs [16Luna-Pérez B, Valle CV, Sánchez-Lizaso JL. Benthic impacts of recreational divers in a Mediterranean Marine Protected Area. ICES J Mar Sci 2009; 66: 517-23. [http://dx.doi.org/10.1093/icesjms/fsp020] , 70Rouphael AB, Inglis GJ. Increased spatial and temporal variability in coral damage caused by recreational scuba diving. Ecol Appl 2002; 12: 427-40. [http://dx.doi.org/10.1890/1051-0761(2002)012[0427:ISATVI]2.0.CO;2] , 72Mundet L, Ribera L. Characteristics of divers at a Spanish resort. Tour Manage 2001; 22: 501-10. [http://dx.doi.org/10.1016/S0261-5177(01)00016-4] , 73Pedrini AG, Messas TP, Pereira ES, Ghilardi-Lopes NP, Berchez FA. Educação ambiental pelo ecoturismo numa trilha marinha no Parque Estadual da Ilha Anchieta, Ubatuba (SP). Rev Bras Ecotur 2010; 3: 428-59.]. Most of the surveyed divers were Portuguese, probably due to the fact that Portuguese tourists are among the four main nationalities visiting the Islands [1 INE, 2015b. Cabo Verde, Anuário Estatístico 2015. Instituto Nacional de Estatística. Praia, Cabo Verde. 227p. Available at http://www.ine.cv/ anuarios/ Anuario_CV _2015.pdf (accessed 28 December 2015).] and, as perceived by the authors, being a Portuguese owned diving center tends to attract more Portuguese divers. As observed in most other diver surveys [32Rangel MO. 2013. Underwater ecotourism in the Algarve, South of Portugal: Implementation and divers’ perceptions. Thesis for the degree in Doctor of Philosophy in Marine Sciences, speciality in Coastal Management. Faculdade de Ciências e Tecnologia, Universidade do Algarve, Faro. 180p., 33Hannak JS. 2008. A snorkel trail based on reef condition and visitor perception as a management tool for a threatened shallow water reef in Dahab (South Sinai, Egypt). Doctoral thesis, University of Viena. Viena, Austria., 72Mundet L, Ribera L. Characteristics of divers at a Spanish resort. Tour Manage 2001; 22: 501-10. [http://dx.doi.org/10.1016/S0261-5177(01)00016-4] , 74Hannak JS, Kompatscher S, Stachowitsch M, Herler J. Snorkelling and trampling in shallow-water fringing reefs: Risk assessment and proposed management strategy. J Environ Manage 2011; 92(10): 2723-33. [http://dx.doi.org/10.1016/j.jenvman.2011.06.012] [PMID: 21708420] -78Tabata RS, Miller ML. 1991; Dive travel in Hawaii and implications for commercial interpretation. Proceedings of the 1990 Congress on Coastal and Marine Tourism 304-7.] male divers are the majority, most have a college degree, and professional and technical occupations such doctors, teachers, and engineers. In fact, it was observed that diving is mostly practiced by individuals with a high level of formal education [8Garrod B, Gössling S, Eds. New Frontiers in Marine Tourism 2008.]. Similar results have been observed in other surveys [75Musa G. Sipadan: an over-exploited scuba-diving paradise? An analysis of tourism impact, diver satisfaction and management priorities.Marine ecotourism: Issues and experiences: 122-138 2003. 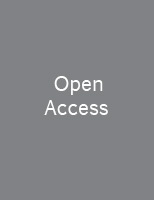 [http://dx.doi.org/10.21832/9781873150436-011] , 79Musa G, Dimmock K. Scuba diving tourism: Introduction to special issue. Tour Mar Environ 2012; 8(Special Issue): 1. [http://dx.doi.org/10.3727/154427312X13262430523947] ]. Nevertheless, more than half of respondents claim that diving has low or no impact in the marine ecosystems and only 41% are aware of the vulnerability of the marine ecossistem. With almost half of the diver population with ages above 41 years and 77% hosted in four or more stars hotels, it is clear that diving is mostly practiced by people who are economically well off, as suggested by Musa et al. [80Musa G, Seng WT, Thirumoorthi T, Abessi M. The influence of scuba divers’ personality, experience, and demographic profile on their underwater behaviour. Tour Mar Environ 2010; 7: 1-14. [http://dx.doi.org/10.3727/154427310X12826772784757] ]. The vast majority of the interviewed divers were inexperienced, with less than 50 dives and many of them were experiencing diving as part of a holiday or once-only activity [81Wilks J. 1992. Introductory SCUBA diving on the Great Barrier Reef. Australian Parks and Recreation. Summer.18-23.]. Similar results were obtained by Rangel [32Rangel MO. 2013. Underwater ecotourism in the Algarve, South of Portugal: Implementation and divers’ perceptions. Thesis for the degree in Doctor of Philosophy in Marine Sciences, speciality in Coastal Management. Faculdade de Ciências e Tecnologia, Universidade do Algarve, Faro. 180p.] for south Portuguese coast divers. Given that more experienced divers (measured in number of dives) caused less impact on the system [16Luna-Pérez B, Valle CV, Sánchez-Lizaso JL. Benthic impacts of recreational divers in a Mediterranean Marine Protected Area. ICES J Mar Sci 2009; 66: 517-23. [http://dx.doi.org/10.1093/icesjms/fsp020] ], divers’ profiling should be evaluated and adjusted prior to the educational programs. Understand if teaching environmental education can, in fact, influence the way people behave in practice is fundamental [82Hart P, Jickling B, College Y, Kool R. Starting points: Questions of quality in environmental education. Can J Environ Educ 1999; 4: 104-24.]. Addressing environmental problems by placing youngsters in natural, undisturbed places can act as a powerful environmental education tool [82Hart P, Jickling B, College Y, Kool R. Starting points: Questions of quality in environmental education. Can J Environ Educ 1999; 4: 104-24. ], and the marine environment can be used as an “outdoor laboratory”, where the diving operator provides in situ biological and ecological information to visitors [83Salm RV, Siirila E. Marine and coastal protected areas: A guide for planners and managers Gland, Switzerland 2000. [http://dx.doi.org/10.2305/IUCN.CH.2000.13.en] ]. The sustainability of scuba dive tourism requires not only the conservative use of natural and social resources, but also economic viability of all stakeholders, community integration and the provision of satisfying diving experiences [84Wongthong P, Harvey N. Integrated coastal management and sustainable tourism: A case study of the reef-based SCUBA dive industry from Thailand. Ocean Coast Manage 2014; 95: 138-46. [http://dx.doi.org/10.1016/j.ocecoaman.2014.04.004] ]. Sal Island, having multiple artificial and natural reefs contributing to conservation and socio-economic purposes [85Oliveira MT, Ramos J, Santos MN. An approach to the economic value of dive sites: Artificial versus natural reefs off Sal Island (Cape Verde). J Appl Ichthyology 2015; 31(Suppl. 3): 86-95. [http://dx.doi.org/10.1111/jai.12953] ], seems to be in the right path to achieve a good position among the world's leading scuba diving hotspots. In fact, 95% of the respondents would recommend a dive trip to Sal Island to friends and family, indicating a high level of diving satisfaction. Voluntary management which, if coordinated with education and good governance, can ensure a long-term viability of the dive tourism industry [84Wongthong P, Harvey N. Integrated coastal management and sustainable tourism: A case study of the reef-based SCUBA dive industry from Thailand. Ocean Coast Manage 2014; 95: 138-46. [http://dx.doi.org/10.1016/j.ocecoaman.2014.04.004] ]. Illustrative diagram for the management of scuba dive tourism. Adapted from Pearce [97Pearce D. Planning for tourism: Planning at the national level.Sustainable tourism 1997; 215-21.] and Wongthong & Harvey [84Wongthong P, Harvey N. Integrated coastal management and sustainable tourism: A case study of the reef-based SCUBA dive industry from Thailand. Ocean Coast Manage 2014; 95: 138-46. [http://dx.doi.org/10.1016/j.ocecoaman.2014.04.004] ]. The vast majority of our surveyed divers claim that the Species ID field guide and the Diving routes guide had contributed to improving their diving experience and provided a better understanding of marine biodiversity of the dive site and would recommend them to their friends and family. The same was observed for the dive briefing, where 87% strongly agreed that this is a powerful tool to improve environmental awareness. Barker & Roberts [30Barker N, Roberts CM. Attitudes to and preferences of divers toward regulation.New Frontiers in Marine Tourism 2008; 171-88. [http://dx.doi.org/10.1016/B978-0-08-045357-6.50012-7] ] and Camp & Fraser [98Camp E, Fraser D. Influence of conservation education dive briefings as a management tool on the timing and nature of recreational SCUBA diving impacts on coral reefs. Ocean Coast Manage 2012; 61: 30-7. [http://dx.doi.org/10.1016/j.ocecoaman.2012.02.002] ] advocated on-board “environmental briefings”, provided immediately before diving, thereby ensuring a pleasant and safe experience, while simultaneously effectively promoting an increase in environmental awareness. 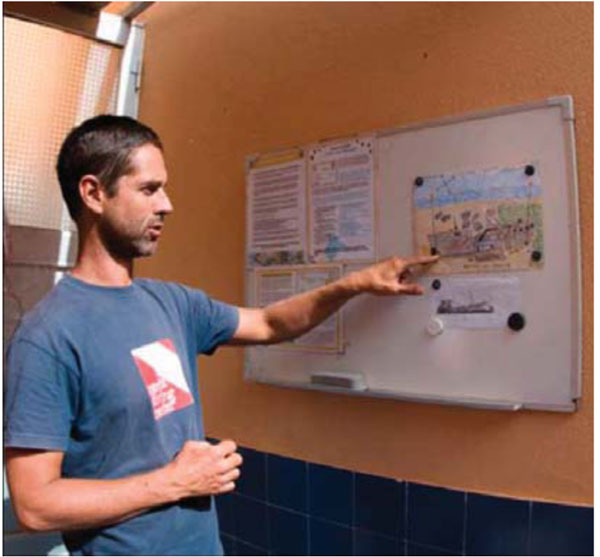 These pre-diving briefings are highly effective at reducing divers’ contact with the surroundings, since they emphasize the importance of buoyancy control and careful action, important educational tools, resulting in an increase in environmental awareness and, thus, reduction of diver damage [16Luna-Pérez B, Valle CV, Sánchez-Lizaso JL. Benthic impacts of recreational divers in a Mediterranean Marine Protected Area. ICES J Mar Sci 2009; 66: 517-23. [http://dx.doi.org/10.1093/icesjms/fsp020] , 17Uyarra MC, Côté IM. The quest for cryptic creatures: Impacts of species-focused recreational diving on corals. Biol Conserv 2007; 136: 77-84. [http://dx.doi.org/10.1016/j.biocon.2006.11.006] , 28Townsend C. Interpretation and environmental education as conservation tools.New Frontiers in Marine Tourism 2008; 189-200. [http://dx.doi.org/10.1016/B978-0-08-045357-6.50013-9] , 29Barker N, Roberts CM. Scuba diver behaviour and the management of diving impacts on coral reefs. Biol Conserv 2004; 120: 481-9. [http://dx.doi.org/10.1016/j.biocon.2004.03.021] , 99Medio D, Ormond RF, Pearson M. Effect of briefings on rates of damage to corals by scuba divers. Biol Conserv 1997; 79: 91-5. [http://dx.doi.org/10.1016/S0006-3207(96)00074-2] ]. Laíns M, Santos MN, Oliveira MT, Silva NM. Sob os Mares de Cabo Verde 1st ed. 1st ed.2008.